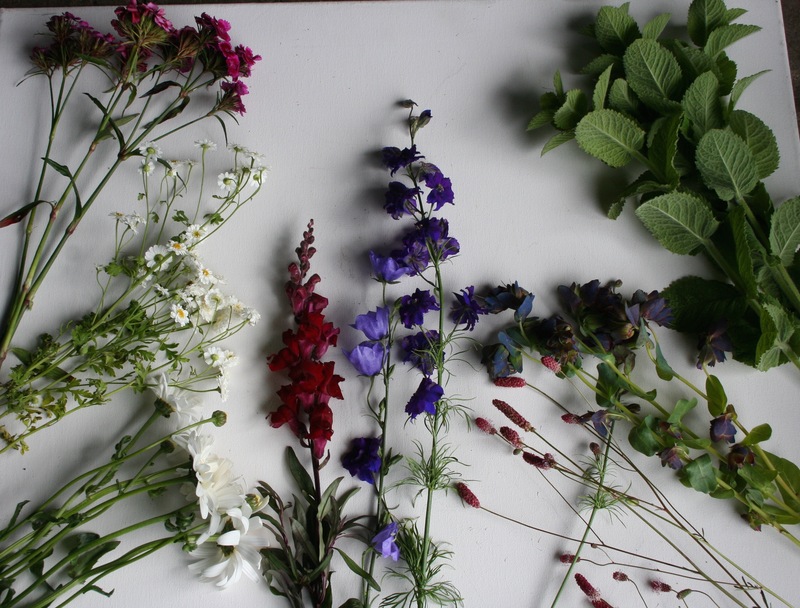 Experience our natural grown Scottish flowers in a fun and cost effective way giving you the chance to experiment and try your own arrangements. 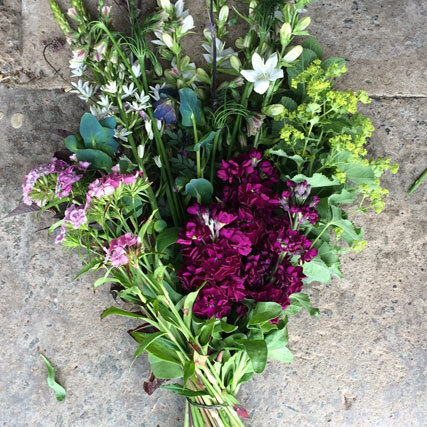 We will send you a regular box of hand picked blooms and foliage carefully chosen from our flower field for you to create your own stunning bouquet or divide into smaller arrangements. Available as a one off, or sign up for three or six months with fortnightly or monthly deliveries. 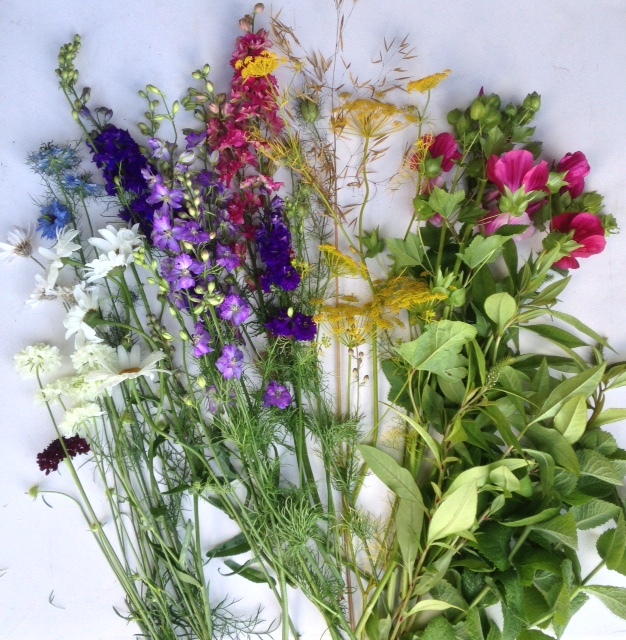 Why not try a single flower box and take it from there? Medium and large boxes boxes are also available by post on certain days – see description below. If you would like a small box or different configuration please get in touch. Join the Mayfield Flowers Club and create your own arrangements using loose flowers picked specially for you. 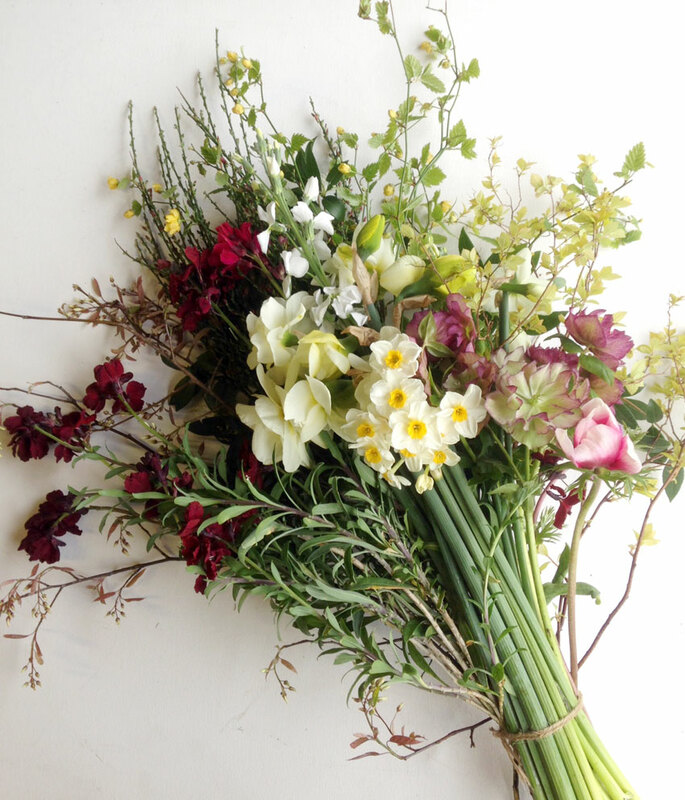 Your flowers are delivered fortnightly or monthly during our flower growing season. 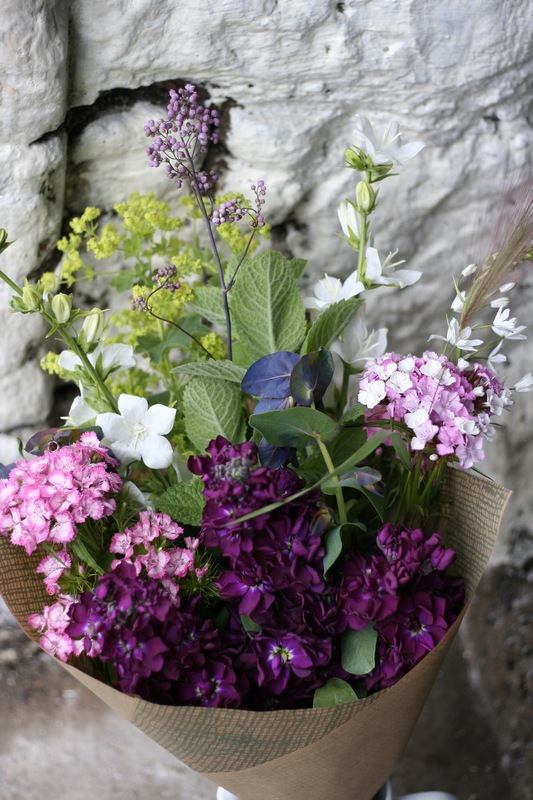 For those that need a little help to arrange the flowers we will supply simple suggestions as well as a list of contents and a focus on a special bloom of the week. Experience our flowers in a fun and cost effective way giving you the chance to experiment and try your own arrangements. Boxes are available by post or local collection (Glasgow/Stewarton). Prices are for the medium and large flowers only, each postal delivery is an additional £13 (£17 for Saturdays) and is added after the billing stage of ordering. Postal delivery is by Royal Mail Special Delivery by 1pm (5.30pm for parts of the Highlands and Islands) and a signature is required. Choose from our routine postal delivery days of Tuesday, Friday and Saturday. Local collection from Glasgow available on Friday or Saturday only. If you join part way through the season (April-October), the subscription will continue in the following year. Choose your first delivery and then we will be touch to confirm your next delivery slot.